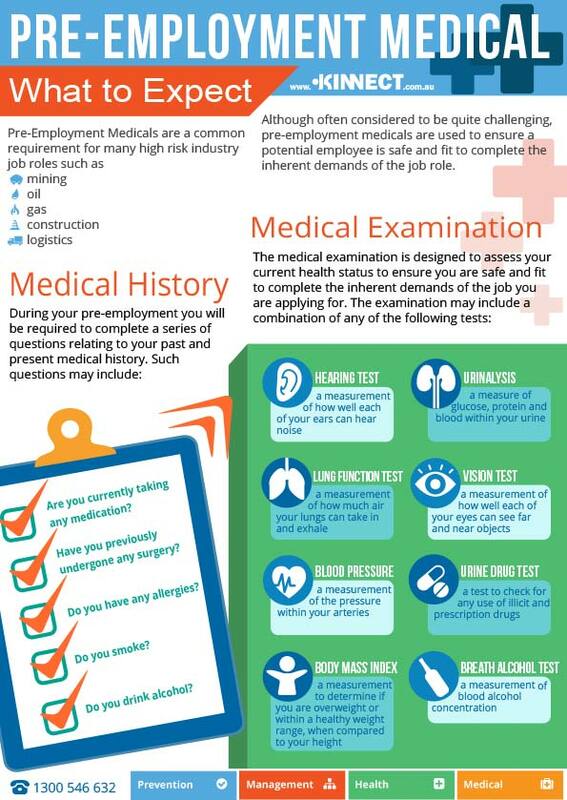 This infographic explains what to expect when you complete a Pre-Employment Medical. Although often considered to be quite challenging, pre-employment medicals are used to ensure a potential employee is safe and fit to complete the inherent demands of the job role. Have you previously undergone any surgery? It is important that you are completely honest when completing the medical history as this information can significantly impact on your employment opportunity should it be found that you were dishonest. How Long Does It Takes For Drugs And Alcohol To Leave My System?